Back that Bass Up, Sons! 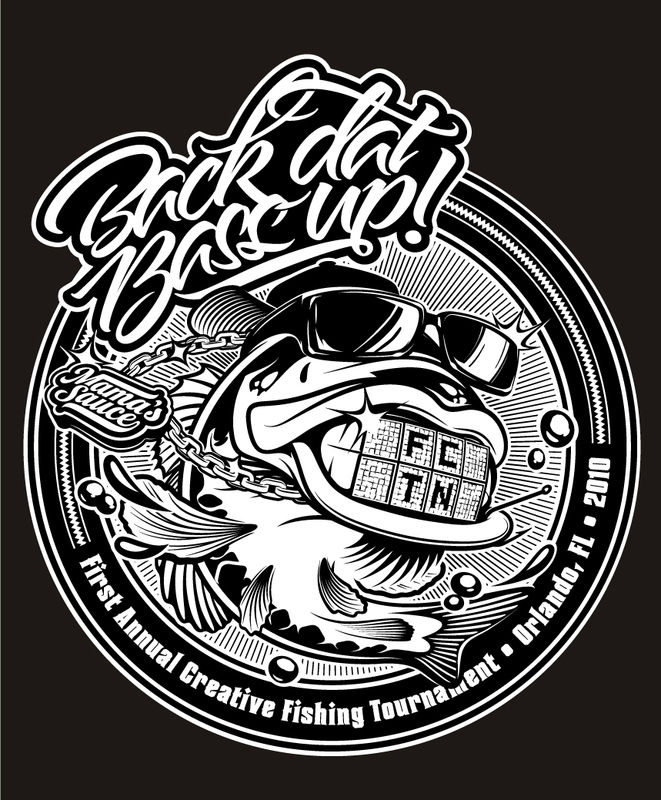 So, it's been a few weeks and w've finally recovered from Orlando Creative's First Annual Fishing Tournament. It was an amazing dusk-till-dawn affair, chock full of wicked sunburns, great logo design, row boats littering creative spaces, and an all-around great excuse to work outside. Ever screen print t-shirts on a loading dock before? Two-man/woman boats. No motors. 2 paddles and 4 lakes. Catch and release. It was a dusk-to-dawn affair that we co-hosted with the oh-so-rad Fiction. As is it was a gathering for/by creatives, we had to have a stellar logo. If the logo caught your eye, know that it was illustrated by the super rad Brian Boesch of Itchy Illustration. Type treatment by our very own Austin Petito. Brian takes up residence at the Sauce in his very own cubicle. You know all of the Colt 45 you drink? Yeah, he did the mustang rearing up on the side of that ice cold can of goodness. No big deal. Next year's tourney promises to be even bigger and much badder. If you're an Orlando creative, make sure you're on our list to get the invite. Perhaps the best way would be to befriend the tourney on Facebook. Have your t-shirts printed here.